Tax deductible contributions to 401(k)s, IRAs and other retirement accounts are among the few remaining ways to reduce taxable income if you don’t itemize. ✓Unreimbursed work expenses, tax prep fees and job search costs are no longer deductible. ✓Moving expenses aren’t deductible unless you’re active-duty military. ✓Casualty and theft losses are deductible only in a federally declared disaster area. ✓State and local tax deductions are capped at $10,000. ✓Home equity loan interest is deductible only if the money was used to substantially improve your home. 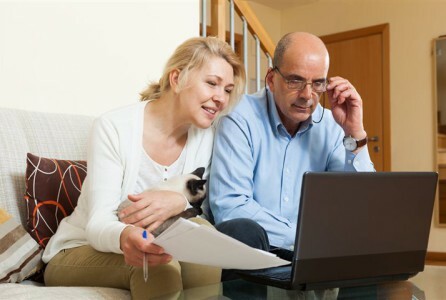 Not everyone can take advantage of those deductions, but the vast majority of working people can contribute to retirement plans, said Michael Eisenberg, a CPA personal finance specialist with the AICPA’s National CPA Financial Literacy Commission. Contribution limits are higher for workplace plans such as 401(k)s: $19,000 for 2019, or $25,000 if you’re 50 or older. If you have a workplace plan, your company also likely offers matching funds, said Jarod Taylor, a financial counselor in Westerville, Ohio. Credits of 50 percent, 20 percent or 10 percent of retirement contributions are available for singles with adjusted gross income up to $32,000 or $64,000 f or a married couple filing jointly. If you don’t mind a smaller refund and just want to pay less taxes, another possibility is reducing your withholding and channeling the additional money into your retirement fund, Taylor said. Taylor also advises clients to look for small expenses to trim, such as negotiating a cheaper cable package and avoiding bank fees. “You’ve already been living without that money, so just funnel that off to saving for retirement,” Taylor said.